Bring the power of the pyramid to your home or office with this gorgeous, natural and solid Red Jasper gemstone pyramid. In ancient Egypt, the pyramid was the source of eternal strength and energy. The ancient Egyptians believed that the pyramids held magical powers, warmth, strength, healing and were used to help draw upon the power of ones inner spirit. Today, it is believed that pyramids amplify and then tightly focus energy through the apex. A gemstone or crystal pyramid can be used to draw off negative energy and blockage from the chakras, as well as to enhance and focus the inherent properties of the gemstone. This beautiful Red Jasper pyramid will be a striking addition to your rock and gem collection, or use in a crystal grid as the center to help collect and focus energy for healing or meditation, or simply display it on a table or shelf to add a touch of ancient Egypt to your home or office. 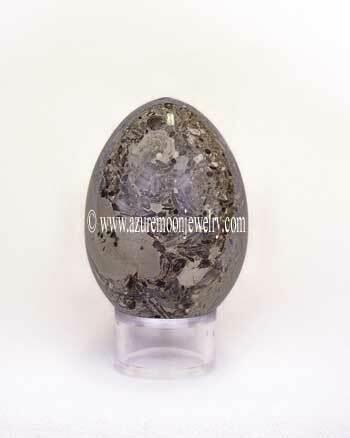 It is the perfect, unique and thoughtful gift from the land of Pharaohs for the rock hound or gemstone collector. 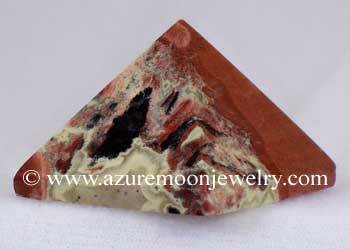 Measures 1 1/2" Square - 1 1/8" H.
Red Jasper and is a fourth (heart) chakra gemstone. Metaphysical Properties: Red Jasper has been used to assist one in rectifying unjust circumstances. It can also assist in providing for rescue in situations of danger. It is used to prevent "set-backs" in disorders and to help one learn to progress. Click here to learn more about the lore and metaphysical properties of Red Jasper and other popular gemstones.